Jeju Island, Korea — After returning from Gyeongju, I decided to travel to Jeju Island, which I personally believe is one of the most underrated tourist destinations in Korea. Thanks to low-fare airlines, I was able to book my one-way flight for ₩20,000 (~$18 USD) from Seoul, and the duration of the flight was just under an hour. 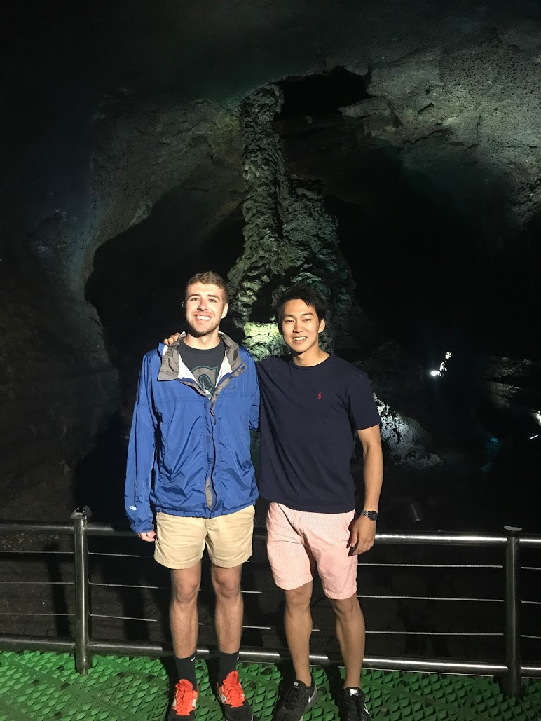 I cannot recommend visiting Jeju Island highly enough if you’re planning to visit Korea. In Jeju Island, I had an opportunity to train at Jeju Jiu-Jitsu World. Jeju Island is the largest island in Korea located 450km south of Seoul. Jeju is one of the most popular domestic holiday destinations thanks to its white beaches and subtropical climate. It’s also a volcanic island with the highest mountain in Korea, Hallasan. The whole island is filled with nature wonders including lava caves and waterfalls. Jeju Island is a must visit in Korea. 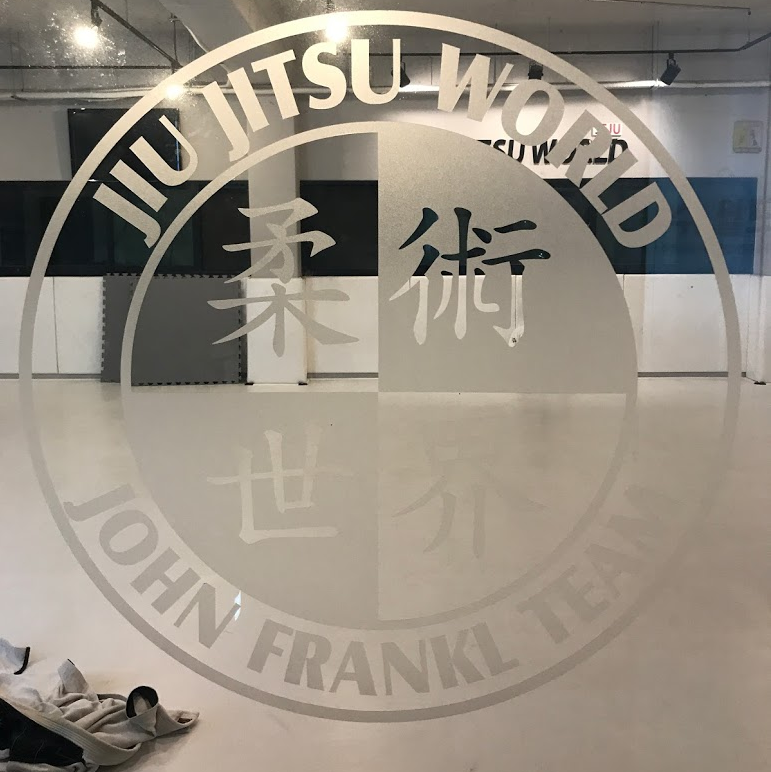 Jeju Jiu-Jitsu World is the first John Frankl Jiu-Jitsu affiliate in Jeju Island. John Frankl, a professor at Korea’s Yonsei university, was one of the first Brazilian Jiu-Jitsu professors who initially introduced Brazilian Jiu-Jitsu to South Korea, and there are numerous John Frankl team affiliated gyms all around South Korea. The instructor at Jeju Jiu-Jitsu World, Yoonsang Jang, is a purple belt under John Frankl. 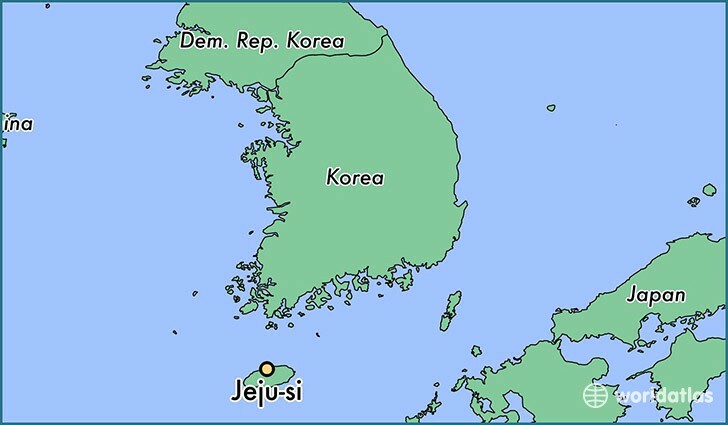 Given that Jeju island is a popular holiday destination, it is common for Jeju Jiu-Jitsu World to frequently host BJJ Globetrotters. 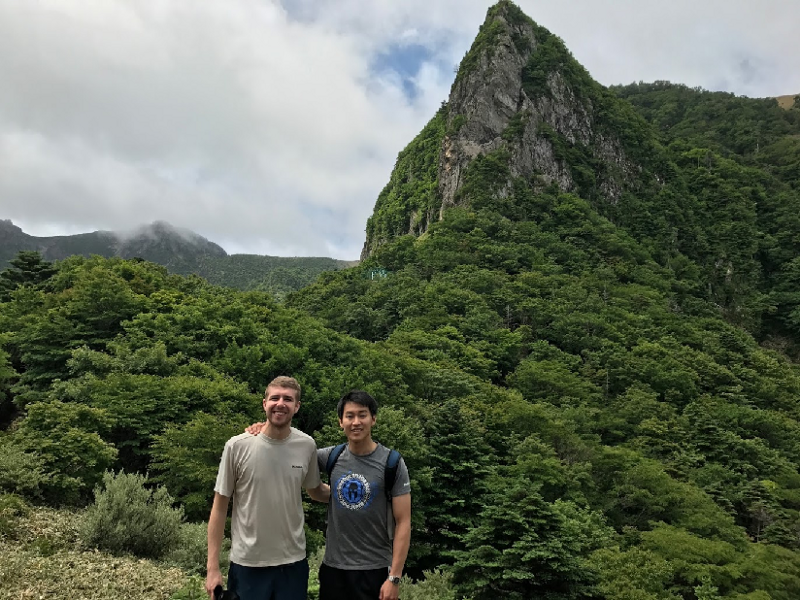 In addition, with various John Frankl team affiliates around Korea, Jiu-Jitsu World became a famous spot for affiliated team members to visit after enjoying their vacation in Jeju. As a result, the gym has a welcoming atmosphere to visitors. Jeju Jiu-Jitsu World mainly focuses on Gi Brazilian Jiu-Jitsu but occasionally offers no-gi classes for the hot and humid summer in Jeju. 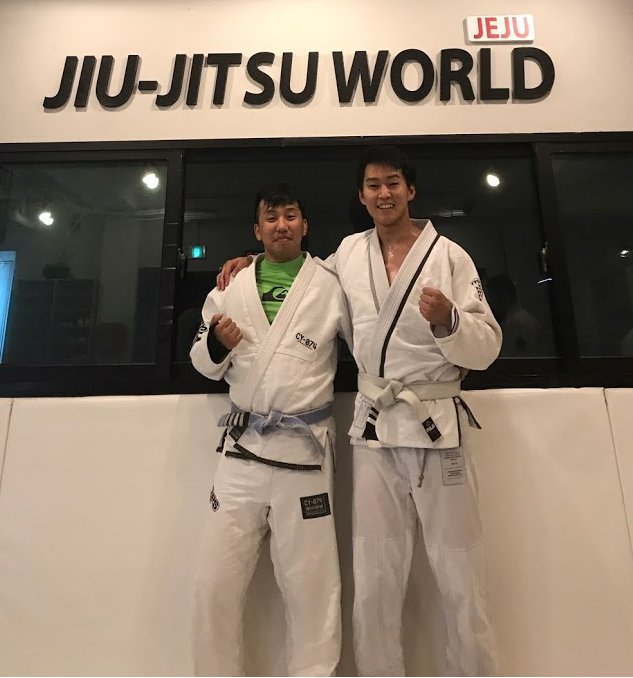 Although Jiu-Jitsu World is a relatively new Jiu-Jitsu gym in the area, the number of students is increasing, and it recently opened the second facility in Jeju. With its late evening classes, Jiu-Jitsu World is a fantastic way to end a long day of sightseeing in Jeju by sneaking away from your family or friends. Jeju Jiu-Jitsu World has a spacious and spotless mat with men’s and women’s locker rooms and showers. The gym also includes basic weight training equipment including bench press and dumbbells for the strength training. 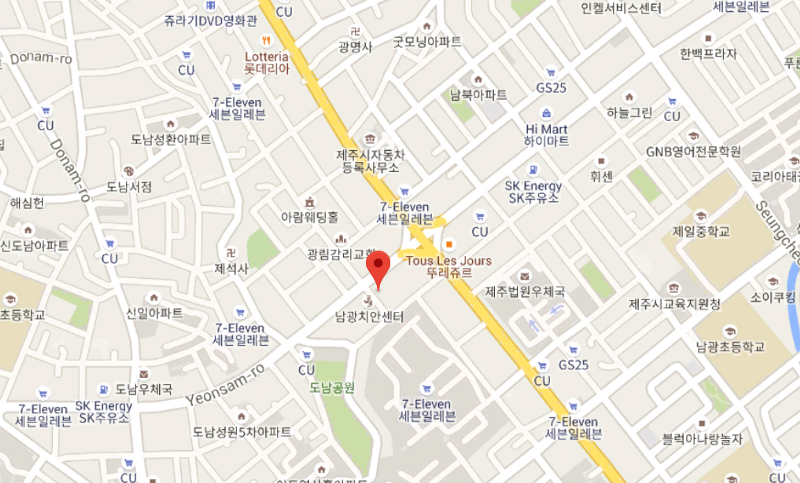 The drop-in fee is ₩20,000 (~$18 USD) per class. Hallasan — Hallasan is a massive shield volcano that rises in the center of Jeju island. It remains the highest mountain in South Korea topping at 1950m. The steep hike to the top, which takes approximately 6 hours, is quite challenging, but it will reward you with a unique view of Jeju Island. If you are planning a trip to Jeju, you should put Hallasan first on your list. 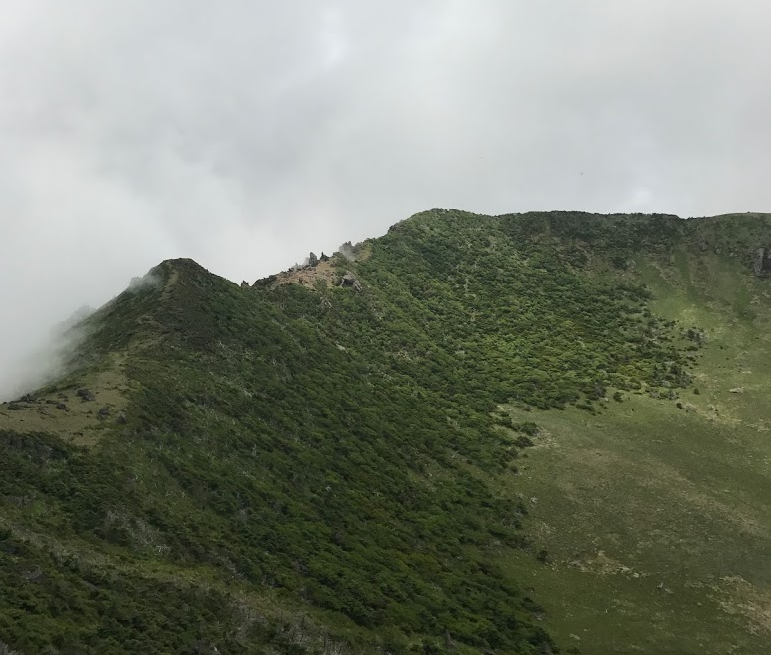 Seongsan Ilchulbong (Sunrise Peak) — The volcanic crater was formed by hydro-volcanic eruptions. It is commonly referred as a sunrise peak in Korea due to its magnificent view during the sunrise. Unfortunately, the weather was not cooperative when I visited, but you should try your luck when you visit Jeju. Manjanggul — The lava tube is a UNESCO World Heritage formed by volcanic lava. The cave holds a variety of interesting structures created by lava. Cheonjiyeon Waterfall — Its name literally means “where sky connects land.” The waterfall is surrounded by a beautiful park. 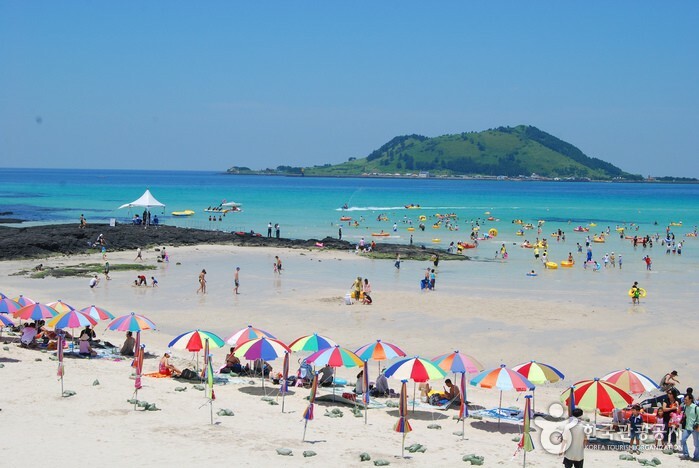 Hallim Park / Hyeopjae Beach — The area is where the beautiful white color of the sands meets cute local cafes and restaurants.